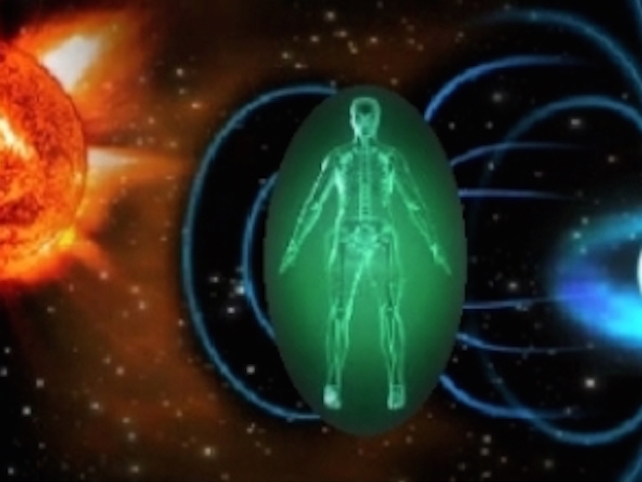 A growing number of scientists, health care professionals, and concerned citizens argue that these invisible frequencies are responsible for a host of various health problems. 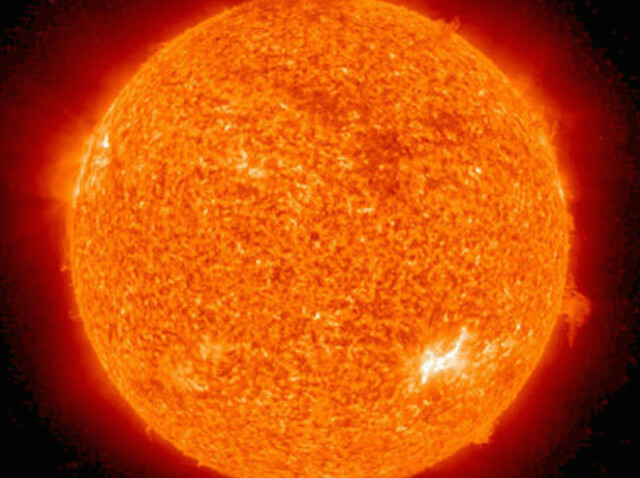 Meanwhile, the largest polluter has gone unnoticed: the Sun. At certain times, the Sun’s activity can also aggravate mental health problems. 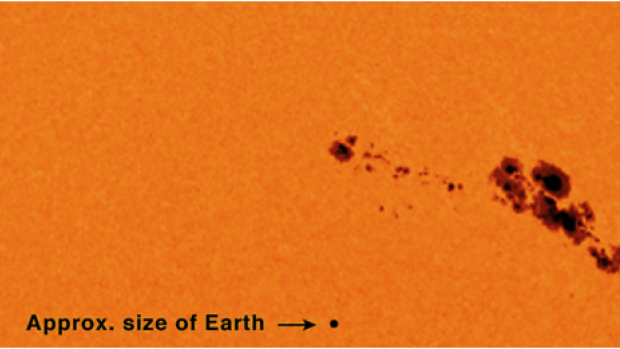 Every 10-11 years, the number of sunspots found on our closest star rise from 0 (as it is currently in 2008) to a high of over 400. 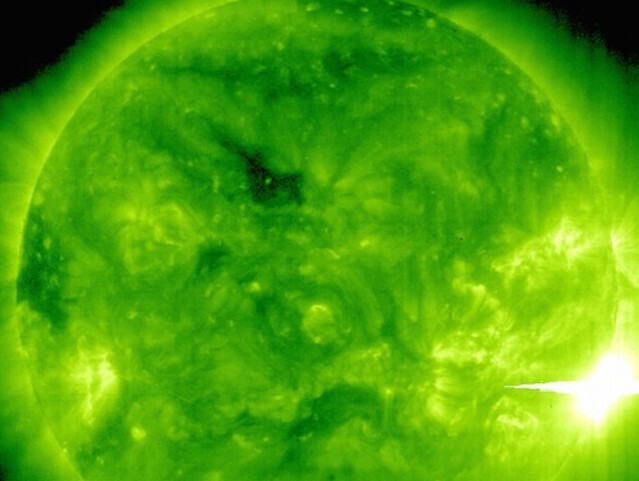 While the sunspots themselves don’t affect Earth, the solar flares and other disturbances emanating from our Sun during increased sunspot activity result in an increased number of particles (electrons and protons) and harmful light radiation (ultraviolet and x-rays), known as solar wind. If it weren’t for Earth’s protective magnetic field and atmosphere, this bombardment of particles would burn us to a crisp. Fortunately, our planet’s magnetic field diverts most particles into a circular path around the Earth. Like weather patterns found on Earth, solar wind patterns can change rapidly. Luckily, our planet’s magnetosphere quickly responds to the threat and absorbs the impact, wiggling and jiggling in the process. 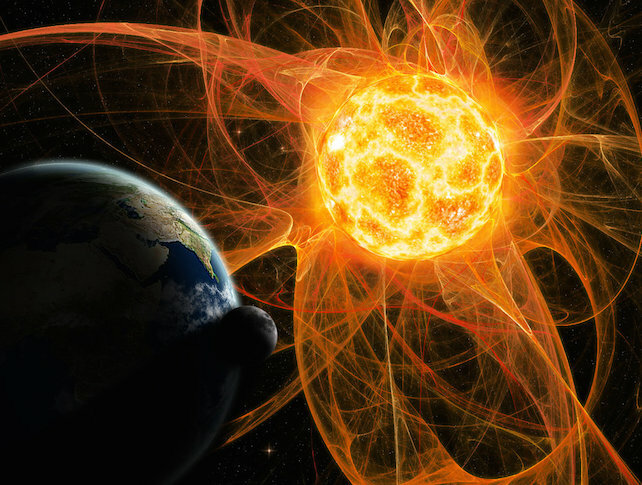 Geophysicists call this reaction a geomagnetic storm, but because of how it disrupts the Earth’s magnetic field, it could also be called electromagnetic pollution. These storms, although minute, affect brain waves and hormone levels, causing a number of different reactions, predominately in males. While a few women may also experience changes during these storms, they generally seem less affected by the Sun’s behavior. Reacting to changing hormone levels, some men may become increasingly irritable and aggressive, while others may instead become more creative. An increase in solar activity is found to increase psychotic episodes in individuals who already suffer from unstable psychological states. While we might relate such behavior to a full moon, in 1963, Dr. Robert Becker and his colleague, Dr. Freedman, demonstrated that solar changes also lead to a noticeable increase in psychotic activity. Yet these reactions are not simply isolated to a few particularly sensitive or unlucky individuals. Evidence indicates that wars and international conflicts most often break out when sunspots are rapidly forming or rapidly decaying, as these are times when there are more intense geomagnetic storms. In addition, this increase in solar activity also correlates to periods of more accidents and illness, as well as an increase of crimes and murders. The entire biosphere is affected by this electromagnetic pollution, and human behavior seems to react accordingly. Studies of how the Earth’s environment interacts with space and the solar wind are far more than an academic exercise. They are important in shaping the environment we enjoy today – and whether we enjoy it in the dark. The solar wind and space plasma storms induce massive electrical currents that can affect power systems on the ground, especially in the north. A large storm in 1989 induced currents in the American northeast that caused a failure in the Hydro-Quebec power system that deprived 6 million people of power for over 9 hours in Canada and the United States. The same storm expanded the upper atmosphere and increased drag on NASA’s Long Duration Exposure Facility (LDEF) satellite which carried valuable specimens of materials in space exposure tests (NASA recovered LDEF before it could re-enter the atmosphere). Similar storms can set up currents that corrode the metal structure of petroleum pipelines, disrupt satellite and land-based communications, short-circuit satellite electronics, and interfere with navigational systems on ships and aircraft. We cannot stop geomagnetic storms, but we can understand them and, eventually, predict what their effects may be in time to take measures to protect valuable power grids, satellites, aircraft, and other systems. Thankfully, not all geomagnetic storms are disruptive. Some are generally beneficial to humans. But over time, these extremes in solar activity may also affect periods of earthly conflict. The data on cycles of war and peace extend back at least 2,500 years. (Some believe that they may be traced even further, but the records are not as reliable.) Although some may argue that it seems as if there is always war somewhere, records show that periods of conflict increase and decrease in nearly regular cycles. In the 1930s, Professor Raymond Wheeler, a historian at the University of Kansas, took this observation one step further. His research afforded numerical rankings to the severity of individual battles correlating to solar cycles. His data was statistically analyzed by Edward Dewey, who validated the existence of these war cycles. Yet he was unable to make a definite connection with sunspot cycles because the data at that time was insufficient. In the 1980s, with a more detailed analysis of Wheeler’s data, the connection became clear. With this in mind, should we view warring behavior as a type of disease? Are the related socio-political or economic factors as much a symptom of solar cycles as the battles they appear to create? And if the data on sunspot cycles points to an impending crisis, how can we best use this knowledge? When we see the connection to physical mechanisms (electromagnetic pollution), this gives us some predictive insight for when increased aggressions were apt to start. Calculations indicate that we’re due to see another rise in intense solar activity in about two years: September 22, 2010. 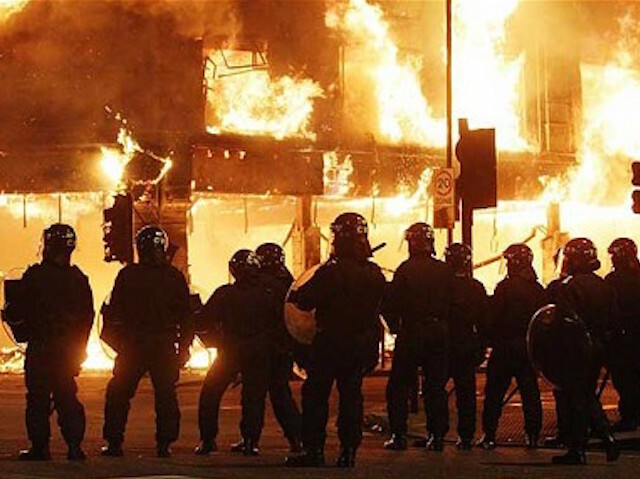 Imagine how valuable it would be to mankind, or even an individual, if we were able to address a potentially volatile situation by carefully studying the pattern of history. How would this influence our decisions and actions, and how might this change our fate? Buryl Payne has a Ph.D. in psychology and an M.S. in physics and has written several books and articles on a variety of topics. 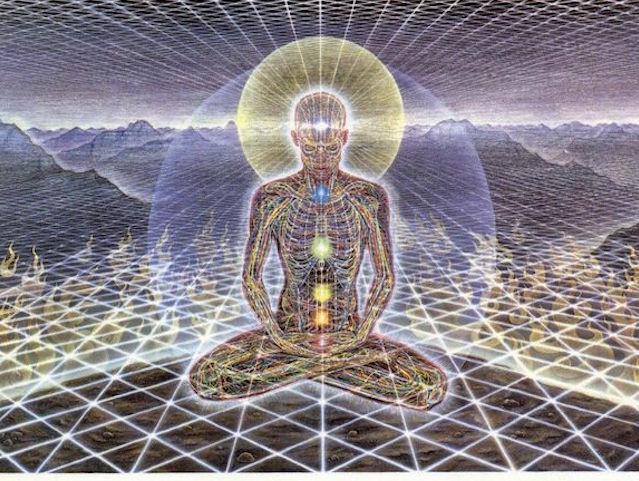 He is currently working on a book exploring fifth dimensional consciousness. Battros M. 2005. “Solar Rain: The Earth Changes Have Begun.” Earth Changes Press. Friedman, H. and Becker, R.O., “Geomagnetic parameters and Psychiatric Hospital Admissions,” Nature, V. 200, pp 626-628, 1963. Hundhausen, A. J., “Solar activity and the solar wind,” Rev, of Geophysics and Space Physics, 17 (8), 20314-2011.8, 1979. Payne, B. 1986. “The Power of Thought to Influence the Sun, Interim Report.” National Council on Geocosmic Research, Winter-Spring.